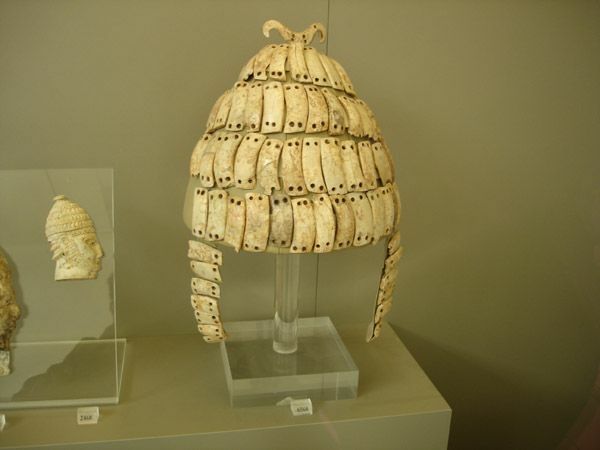 Boar's tusk helmet with cheek-guards and a double hook on top. Tomb 515. excavated by A.J.B. Wace.